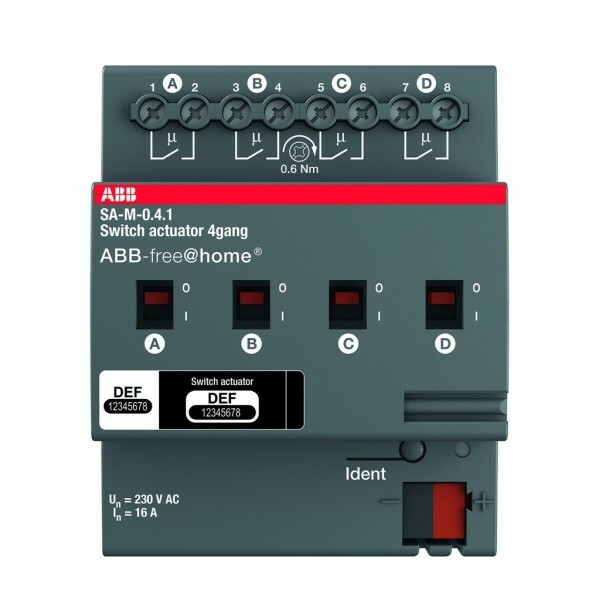 For switching 4 independent 127 V~/230 V~ loads. Each contact has a manual operation function independent of auxiliary voltage for additionally displaying the contact setting. Description: For switching 4 independent 127 V~/230 V~ loads. Each contact has a manual operation function independent of auxiliary voltage for additionally displaying the contact setting.